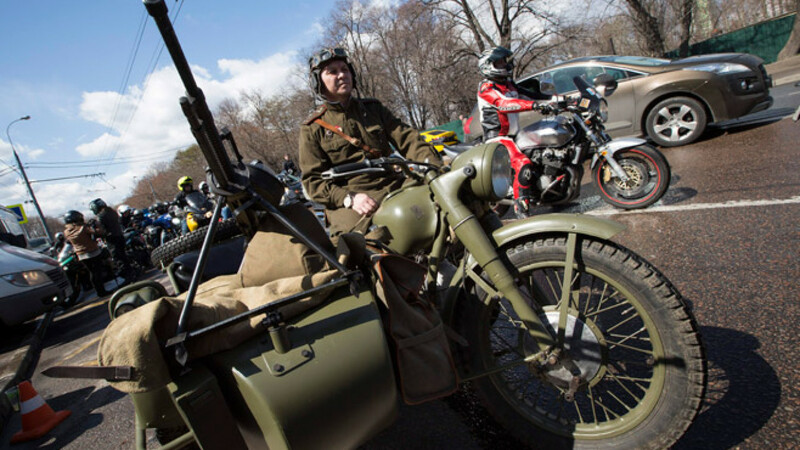 A man in a Soviet chopper Saturday seeing off bikers headed to Germany. BERLIN — Germany will block some members of an ultranationalist Russian motorcycle club from entering the country, government sources said on Saturday, a day after Poland also announced an entry ban for the group that is blacklisted by the United States. Some 50 members of the Night Wolves were due to set off from Moscow on Saturday on a motorcycle ride to Berlin they said was to mark the 70th anniversary of victory by Soviet forces over Nazi Germany. News of the planned ride drew criticism from countries along the route, particularly in Poland, whose prime minister said the trip was a provocation. Relations between Russia and the West have sunk to their lowest point since the end of the Cold War over a pro-Russian separatist rebellion in eastern Ukraine. The United States and the European Union have slapped sanctions on Moscow over its role in the conflict. The Night Wolves were blacklisted by the United States for their participation in Russia's annexation of Crimea from Ukraine last year. Its members also strongly back pro-Russian separatists in eastern Ukraine. President Vladimir Putin has in the past been photographed riding with the Night Wolves. 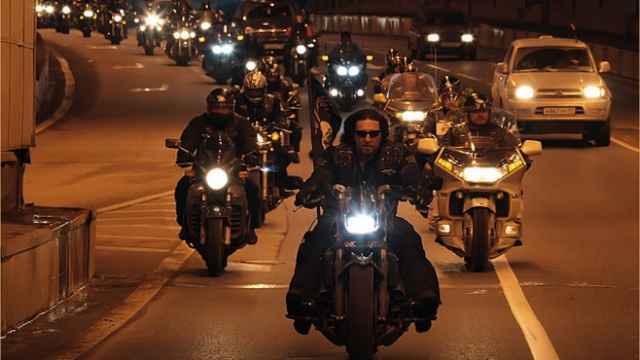 "Leading members of the Night Wolves will be refused entry into Germany. Visas obtained under false pretenses have been canceled," the German government sources said, without giving more details. Poland said on Friday it would not allow members of the group to cross its border and enter the European Union's territory.